English teacher Michael Godsey is an early adopter of podcasts as a teaching tool in his high school. At first he used episodes of This American Life and Serial because he was impressed by the critical thinking and engagement he saw from students. He also liked that students were having deep discussions about the stories with other adults who were listening to the same podcasts. But recently, he noticed something else important: listening to podcasts makes his students want to read more. 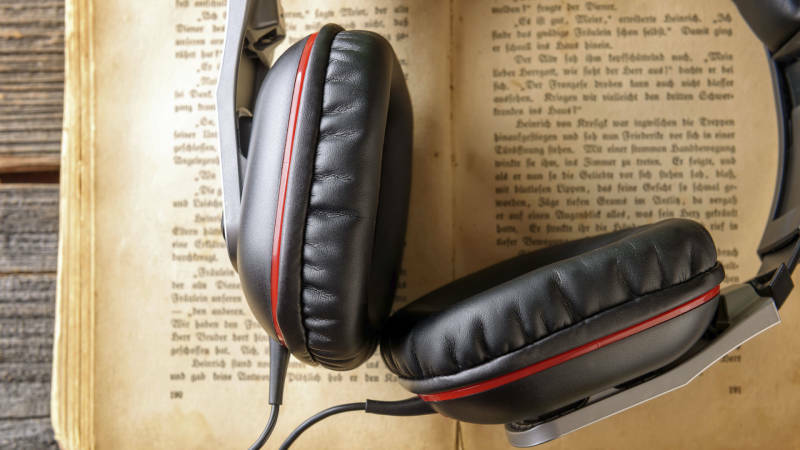 Listening to stories does not immediately seem connected to reading, and in fact, readers of MindShift stories about podcasts in the classroom have commented that they don't offer enough rigor. However, Godsey discovered that most of his students prefer to listen to a podcast while reading the transcript over listening or reading alone. The combination of audio and text allowed for reading breaks and helped students learning English as a second language connect the text to the sounds. "A similar situation in India was observed on a much larger scale when—starting in 1999—certain networks started supplementing some of their television shows with 'Same Language Subtitling' (SLS), and the country's literacy rates soared. The Boston Globe reported on the phenomenon in 2010, claiming that 'in the last nine years, functional literacy in areas with SLS access has more than doubled. And the subtitles have acted as a catalyst to quadruple the rate at which completely illiterate adults become proficient readers.'" This and other studies seem to show that listening while reading helps people have several successful reading events in a row, where they are reading "with accuracy and enjoyment." And, listening has been shown to help with decoding, a fundamental part of reading.